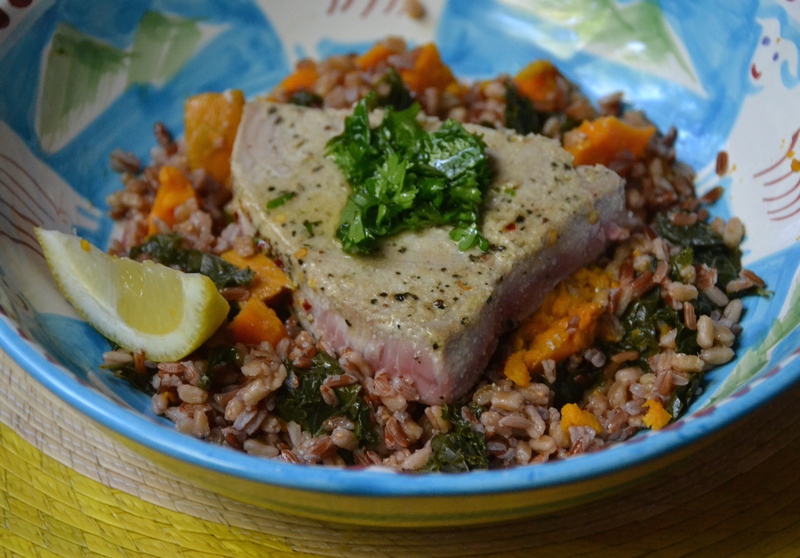 This recipe features a super healthy pairing of fish, veggies and farro. Farro is a hearty grain that makes a nice substitute for rice and goes great with the leafy kale and sweet potatoes. Tuna steaks are one of my favorite ways to enjoy seafood and they’re delicious even when unadorned but made even better with a quick parsley sauce and a hearty sweet salad that complements the simplicity of the fish.